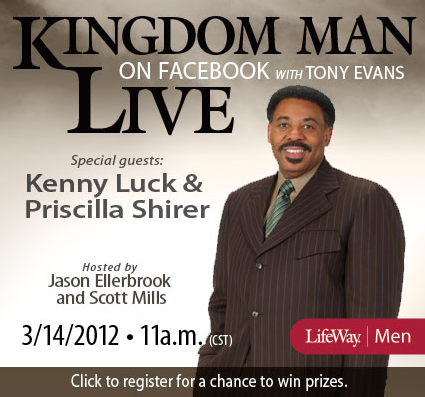 Dr. Tony Evans, megachurch pastor, speaker and author will join LifeWay Men, for the launch of Kingdom Man during a live webcast Wed., March 14. Details at Facebook.com/LifeWayMen. 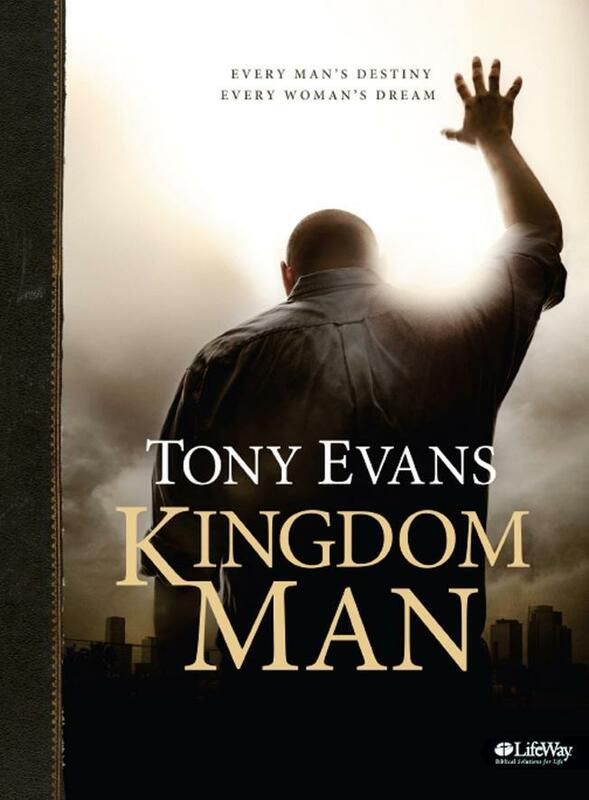 Dallas megachurch pastor, speaker and author Tony Evans will discuss defining and raising the standard of biblical manhood during a March 14 live webcast to launch his new book, Kingdom Man. Kingdom Man provides concepts for men to follow to help them actively pursue ways to develop and maximize the character qualities of biblical manhood in their lives. In conjunction with the book’s release, LifeWay Men, a new men’s ministry within LifeWay’s church resources division, is releasing a six-week small group Bible study also titled Kingdom Man. This DVD-based series designed for individuals and small groups, features Evans in half-hour length sessions discussing how men can dig deeper and apply the book’s content. The Kingdom Man Live webcast will feature special guests including Super Bowl-winning coach and NBC Sunday Night Football analyst Tony Dungy along with Evans’ daughter -- author, speaker and New York Times best-selling author Priscilla Shirer. Participants can log on to Kingdom Man Live webcast at Facebook.com/LifeWayMen. Jason Ellerbrook, director of LifeWay Men, will co-host the program along with Scott Mills and Kenny Luck. Mills is a co-host of LifeWay Men’s monthly webcast, “Stand Firm.” Luck is an author and coauthor of 17 books including Every Man; God’s Man and other titles from the best-selling Every Man Series. He also serves as men’s pastor at Saddleback Church and is founder and president of Every Man Ministries. Ellerbrook said the Evans release of Kingdom Man is timely. Evans noted trends, such as the breakdown in family structure prompted him to write the new book. Kingdom Man Live webcast participants can also sign up for a sweepstakes with the winners being announced during the event. Prizes include a Kindle Fire, a $100 LifeWay gift card and men’s ministry materials for churches and small groups. Viewers will be able to interact with others and ask questions for additional giveaways in the show’s live chat stream or on Twitter. To learn more about LifeWay Men, the Kingdom Man Bible study or to view a list of webcast prizes, visit LifeWay.com/KingdomMan.